If you’re new to the world of home renovations, it’s likely you have an inkling of what you are going to achieve, budget wise. However, a common renovation trap is using this inkling to inform the whole process, instead of budgeting correctly from the beginning of the journey. Just imagine starting your renovation, realising you’ve overcommitted, but have tradesmen and materials to pay for? Or having your home renovation go terribly wrong, and suddenly needing extra money to cover the additional costs to fix things? A budgeting outline will ensure the whole development of your home renovation goes off without a financial hitch. 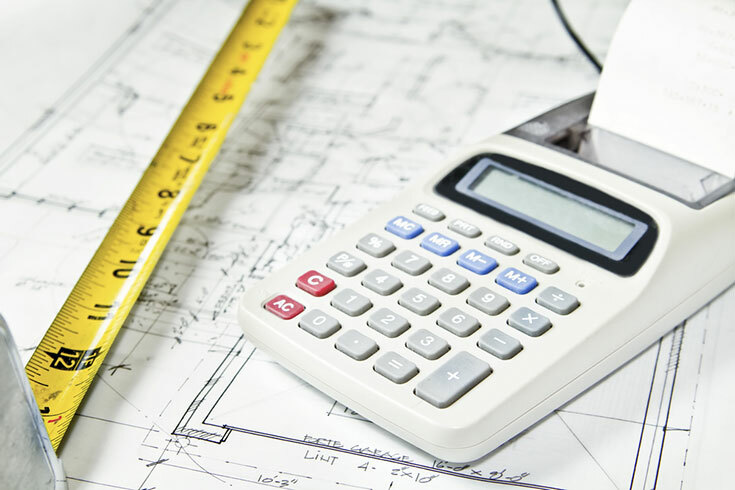 So what’s the easiest way to get your reno budget planning started? It has been said that you should spend no more than 5% of the purchase price of the property on this kind of project. This is a generalised figure that can be increased or decreased, depending on your needs and income, or even if you’re a new homeowner. From this amount you can then decide what type of renovation is a viable option. This will entail a little bit of research and investigation, especially as prices for renovations in major capital cities around Australia have been on a significant increase over the last year or so. To help you succeed, here are 4 tips that will help you achieve the best budget for your next home renovation. When getting a quote from a contractor, giving only a generalised idea of what you want is probably going to lull you into a false sense of security. Instead of getting a clear idea of how much it’s going to cost, you could find yourself being under quoted – something you’re sure to regret down the line when you suddenly have to increase the amount you intended to pay. So do your research, and get a good understanding of what you want done to your home. Maybe it’s a green bathroom? Or a complete kitchen renovation? Or an extra bedroom added? Be specific, right down to the materials and fittings (e.g. LED lights, water saving taps, splashback, etc). And if you have a layout or blueprint of your house, or a particular room, create copies to provide to any contractors, designers or architects you are considering hiring. After you’ve got all this information compiled, the next step is to find and contact several different contractors. Provide these contractors with a very clear idea of what you want using the research and materials you’ve gathered, and then collect their quotes in writing. Getting the quote in writing is very important, as it will prevent any confusion a verbal quote might cause. Keep in mind an ambiguous quote (verbal or written) can give you a false sense of the total cost, so always ask for as much information as possible. Once you have several quotes, you’ll need to compare the different offers, as well as any other feedback the contractor has given you such as time, labour, and innovative techniques. EXTRA TIP: Discard the lowest estimate. Although it might be enticing to go with the cheapest option, this choice could be a recipe for disaster. A low price could equate to a contractor that cuts corners. Unless they’ve come highly recommended by people you trust, the less expensive option may in fact cost you more in the long run. Depending on the job, some contractors offer fixed-price contracts. The reason they are fixed is because they generally cost more than a standard contract. This is because they’re taking into consideration delays or hiccups that might occur along the way – so the downside is you’ll pay more for their services. However, the upside is you know exactly how much you are paying, and it will stay that way. This type of arrangement will help you to stick to your budget, which is a good option if you are new to renovations. EXTRA TIP: Make sure you check the contract for any hidden clauses and costs you might incur despite the fixed-price before you sign. After you’ve chosen the best quotes for your renovation, as well as factored in any other additional work that will need to be done, such as asbestos removal or termite extermination, you need to establish your budget. This budget is a maximum figure of what you can afford, and feel comfortable spending on the project. During renovations it’s a given there are going be situations beyond anybody’s control. Even the most professional and experienced tradespeople can have problems when renovating a home. Neither they nor you can foresee these problems, but you can definitely prepare for them. This 20% will act as a buffer to relieve the pressure of any snags that might occur during the process of the renovation, including structural issues or ground works. It’s rare for a renovation to go completely smoothly, and with many different people working on your home, why stress yourself trying to conjure up extra money you don’t have? EXTRA TIP: Don’t use the 20% for upgrades you might suddenly feel the urge to get. This includes anything you didn’t factor into your initial budget, like fancy light fittings or a marble bench top. The 20% contingency buffer is meant to be for essential and emergency work only. It’s true budgeting takes a lot of willpower, especially when you don’t have a lot of money to throw around but suddenly are inspired to make changes. So it’s important you stay realistic. Don’t give yourself a budget you can’t afford, or on the other hand be too frugal and give yourself a budget that is impossible to work with. Your budget plan needs to be something fool-proof AND ambitious enough that you are confidently happy with both the cost, and the final product. Your budget needs to be SMART. What will you be spending your money on? Which rooms will be renovated? And what does that entail? For example, one material you will need for almost every room is paint. In the bathroom you may need waterproofing, tiling, internal shelving, and a new bathtub, shower or toilet. So know the specifics, right down to the materials that will be utilised (for example wood, plaster, or gyprock). This will also help prevent you from being duped into paying for things you don’t actually need or want in your home. Break your budget down. Break it into rooms, and then further break that down into stages. From there you should be able to identify how much you need to spend throughout each part of the renovation process, including how much each item, material or labour will cost. This measurement should be used as a guide for you to follow everyday your home is under renovation. Is this renovation something you really can afford? Or is it just a dream you need to wait a little longer to fulfil? When it comes to renovations, sometimes it pays to be patient, and wait until you can definitely pay for all the expenses. Otherwise you could find yourself in serious debt, or jeopardising the value of your property. This rule also applies to specific materials, items and labour you might find yourself needing to purchase during the renovation. Remember for every aspect of the process to constantly ask yourself – can I afford it, and do I really need it? Maybe you’ve decided YES, you really do need it. So now you have to be realistic and ask, ‘does it fit into my budget without compromising other expenses?’. If your 20% buffer is running low, this is really important. Talk to your contractors about what you realistically need done, and what you can actually afford. From there you can decide if the two can be consolidated. However, if you have fixed contracts this is less likely to be a problem. Is the timing right for this renovation? Do you have the money to afford it now? Or should you wait? Conversely, during the renovation, you need to think about if certain expenses should be prioritised (such as paying for labour). This is a factor you will need to constantly come back to, and ensure your budget stays within the limits you set. EXTRA TIP: If you are renovating your family home, don’t forget to include your partner and any other family members affected in the budgeting decisions you make. Renovating is a team effort that should involve everyone being on board with the changes and updates happening in your home. A smart renovation budget will make you and your family feel comfortable and happy. If it doesn’t, then you need to reconsider and revise your budget until it does.